I was reading Isaiah 62 the other day and I saw something that freaked me out … in a very good way. You shall also be a crown of glory in the hand of the Lord, and a royal diadem in the hand of your God (Isaiah 62:3). Now, I’ve read this passage many times before, and for some reason, I always mis-read it. I always took this to mean that God would give ME a crown. But that’s not what it actually says. THIS time, when I read this passage, I saw what it actually says. And the Holy Spirit jumped it off the page into my spirit. It says not that God will GIVE you a crown, but that He will MAKE you a crown. Then I asked: “Who would You put a crown on?” And I realized: A crown goes on someone’s head. What does the head represent? Authority figures. And when I realized that, I broke down and wept. Because I want to be a crown of glory on my husband’s head. I want to bring him honor and joy. I want to be a crown of glory to my spiritual fathers. After all their years of labor and ministry, I want them to look at me (and their other sons and daughters too) and say, “There’s my legacy.” I want to bring them honor and be a living demonstration of their faithfulness–an enduring product of the blood, sweat, and tears they have sown for the sake of the Gospel. And most important of all, I want to be a crown of glory for the head of my Lord. I want Jesus to look at me and say, “It was worth it.” I want to be an ornament to Him; the jewelry He wears. I want to be HIS legacy. Do you want to be a crown of glory too? Do you want to bring honor to your authority figures? Ladies, do you want to bring honor to your husband? Men and women alike, do you want to bring honor to your spiritual fathers? And most importantly, do you want to be the glittering, everlasting legacy of Jesus? You can. You can be a crown of glory in God’s hand. Seek God. Serve. And honor. If you will do that, God will make you a crown in His hand–an honor and legacy for the heads of your spiritual fathers and for His Son, Jesus Christ. Does this message inspire you today? Do you want to be a godly legacy for the heads of your fathers and for Jesus? If so, please leave a comment below. I’d love to hear your thoughts! Image courtesy of Farrukh on Flickr via Creative Commons license. Image has been cropped and graphics added. Oh thank you so much! 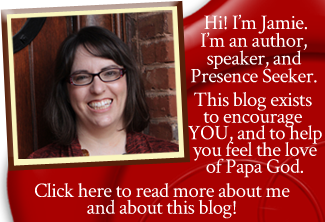 I am thrilled that Papa uses my blog to bless you. Thank you for reading! The thought that God would consider any of us “crowns” especially me, is an overwhelming thought. When I think about Father God I picture a Perfect Father who with every step I take declares to all of Heaven, “He’s walking” not noticing the many times I fall. What an awesome God we serve. Well I finished praying for a friend last year and as soon as I stop I saw a light carrying a crown that gently tap her and disappear it all lasted about 10sec Im wondering if anyone else has had the same experience or has ever heard of this before. I’m telling the truth it was amazing to see. Any help?